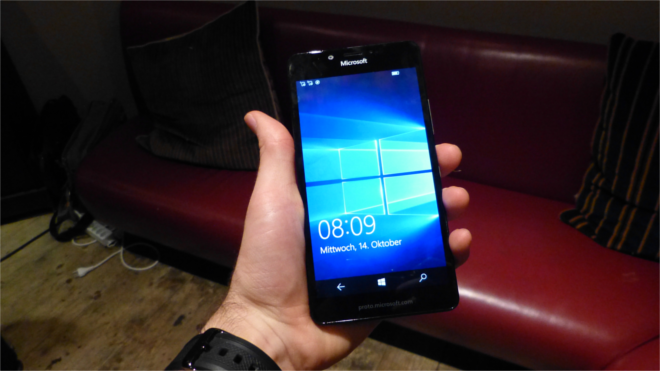 On October 6th Microsoft announced their new flagship devices, the Lumia 950 and the Lumia 950 XL. Two day ago I luckily was able to try them out both. 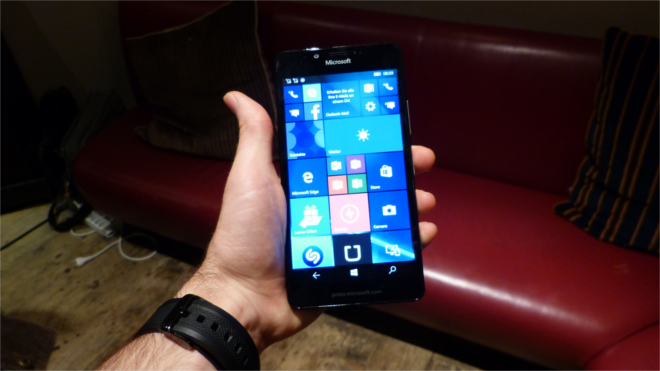 In this post I’d like to share my first impressions of the Lumia 950 (note: I tried out a prototype device). I will divide this article into different categories – similar to my reviews. As I already stated in my first impressions article of the Lumia 950 XL, I didn’t have a lot of time to spend with the phones. Like the Lumia 950 XL, the 950 also is a very thin and light (150g) device, which makes it very compact and therefor comfortable to hold. I have to say though, that this is even more surprising on the XL version as you would definitely expect a more hefty device given the massive 5.7” screen size. The buttons are very sturdy and provide a great feedback – and you’ve got you’re standard button layout. The ring around the camera actually looks quite nice – at least on the black version I got to try out. The Lumia 950 display seems to be great. The resolution of 2560 x 1440 pixels definitely gives you an incredibly sharp screen and you won’t notice any single pixel at all. Glance Screen is supported as you probably already know – something I don’t want miss on my smartphone again. Double tap was either not turned on or it isn’t supported (which would be quite strange). Colors look nice as well. Once again, I definitely need more time with the device to fully rate that display. Of course, during the limited time I couldn’t test the battery. Of course the Lumia 950 XL runs a preview build of Windows 10 Mobile (I sadly forgot to check the version). During the time I used the device everything ran very smooth and fluid. Nothing to complain during my limited time. 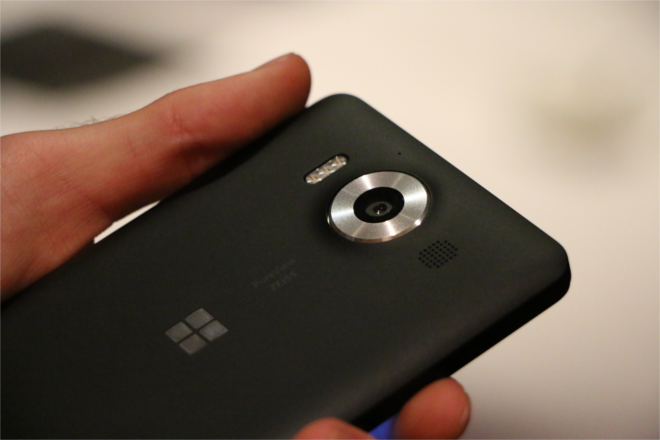 As you probably already notice, this article isn’t as long as the one for the Lumia 950 XL. That’s simply because I spent even less time with this device. But so far I quite liked the experience with the device. For instance, I appreciate the standard button layout, which we all know and love. Furthermore, I changed my mind about that camera ring – it looks actually quite nice in person. Still, so far I’m not convinced to buy the Lumia 950: I’m just to tempted to buy a Surface Pro 4 and I’m actually also still quite happy with the Lumia 830. Five reasons why I love the Lumia 640 XL!